We call this the Terracotta room for obvious reasons. The Terracotta linen from Adairs is not a colour we would usually use but we are so glad we did, it's the hero in this room and the single metallic cushion adds a luxe touch to the earthy look and feel of the Vintage Washed Linen. We chose a nice big fluffy donna insert to make the bed look extra inviting and how beautiful is the big 'Rebecca Judd Loves" chunky knit!? Lots of people ask us "what is that fluffy wall art"? It's called a JuJu Hat and along with the gas-strut window, it's the only item we've used in every Three Birds renovation we've ever done #theylookgoodalmostanywhere. 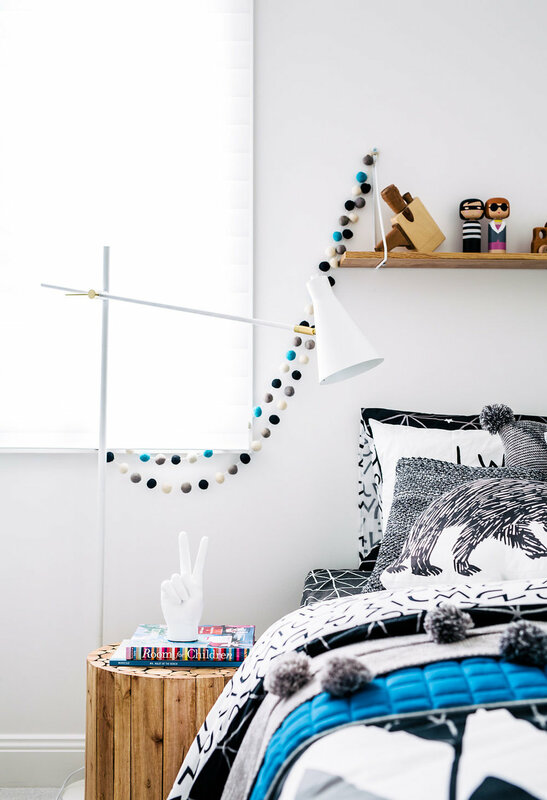 Styling kids rooms is so different, we go for a playful vibe that is not only beautiful but also practical. 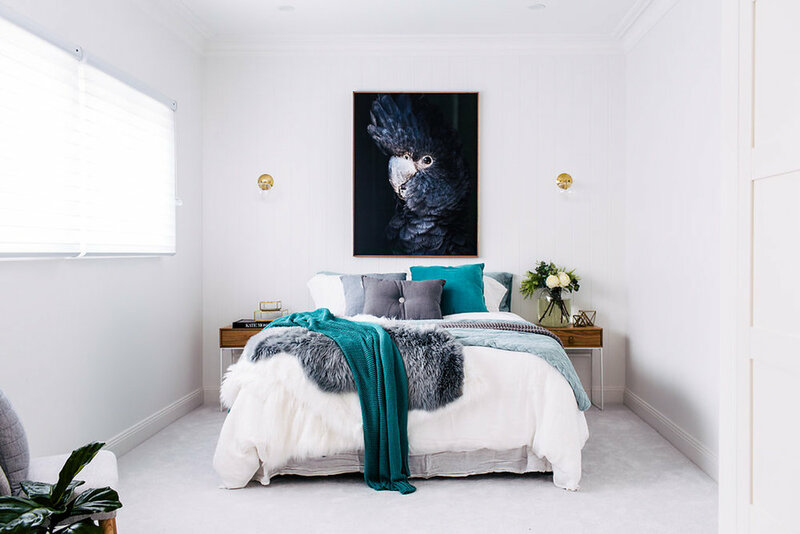 Lots of colour and textures are needed in this space, double rugs in the boys room for extra layers. Both of the kids rooms are flooded with beautiful light which we diffused with the Silhouette blinds from Luxaflex #makeyourroomglow. We get loads of comments about the clear acrylic book cases #itsinvisible. 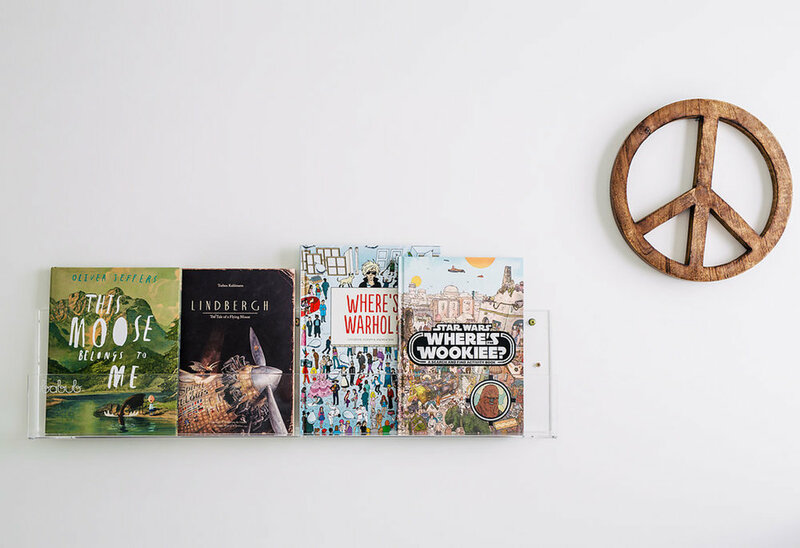 They make a great statement and allow you to use the book covers as wall art. 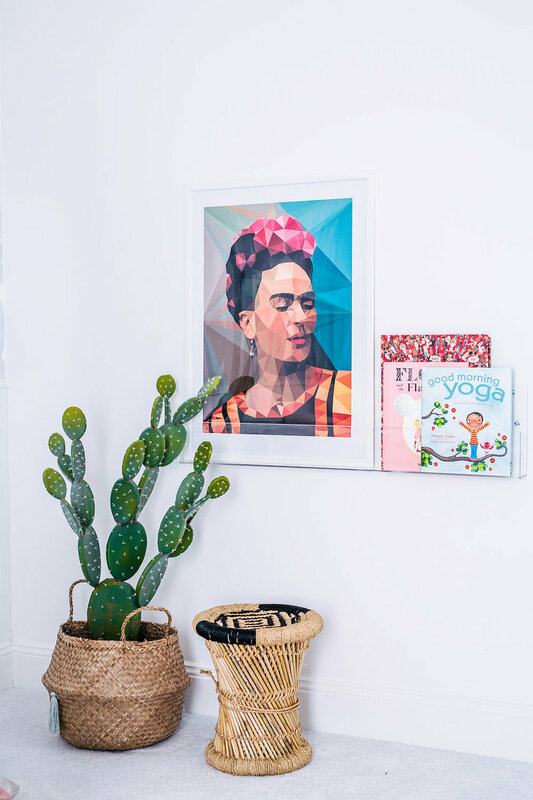 The girls room is all about the Grace Garrett 'Cactus' wallpaper and gorgeous Grace also made some pink cushions for us in the same print. Oh and those little Cactus plants you see, don't worry, these little guys are faux #tearfree #kidfriendly.